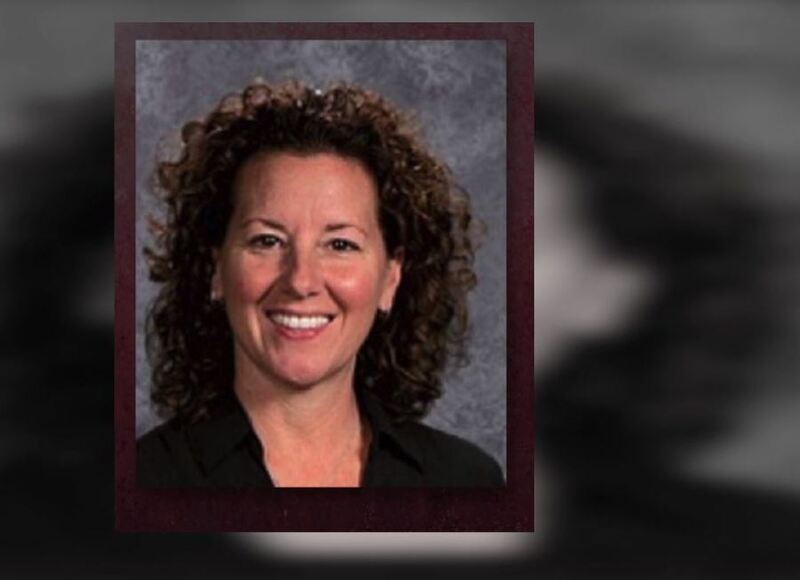 INDIANAPOLIS -- Students and community members are voicing their support for a Roncalli guidance counselor who says she's being made to choose between her wife and her job. In a message posted on Facebook, Shelly Fitzgerald says she had to "hide her 22-year relationship" with her wife but someone sought out her marriage license and turned it into the Archbishop of Indianapolis. After that, they gave her the choice to either resign, divorce or "wait it out and stay quiet." Fitzgerald says she has no plan to do any of those things. Current and former Roncalli students along with members of the community have been sharing their support for Fitzgerald, some leaving flowers and posters on benches outside her office. Some have even gone as far as leaving their school shirts on the ground beside the display, as a show of support for Fitzgerald. "I really want nothing to do with this school until they make it right," said Josh Yorgen, Roncalli class of 1995. Yorgen says he's already asked to be removed from the school's mailing lists and he and others have vowed to pull their donations from the school until they make things right with Fitzgerald. "Put your money behind organizations that make moral and sound decisions. This is clearly not one of them," said Yorgen. "It makes me really disappointed. I did trust a lot of people at that school, Ms. Fitzgerald contributed a lot to me personally," said Roncalli High School alum Dave Schrader. "I don't want to support an institution that will fire someone based on who they are married to. I think that's kind of ridiculous. I don't think it's a good message or image for the school to show." The school maintains that Fitzgerald knew the expectations when she signed her contract. Art Canales, associate professor of Theology at Marian University, says Catholic schools have the right to set their own rules based on Catholic teaching. "The school makes this decision based on 'here's what the Catholic Church teaches - we need to obey the Catholic Church because we're a Catholic school.' If not, they could lose their Catholic charter," said Canales. Indy Pride's executive director Chris Handberg says he's frustrated and Angry that someone can be fired for their sexual orientation. "Several years ago, this would not have been the case,' said Handberg. "It would've been swept under the rug. It might not have even made the news. Here we are in a place where people are saying this is no longer acceptable in our community. I hope the school board and administrators hear that information and do something about it." Fitzgerald tells RTV6 she has no idea who sent her marriage license to administrators, but she has felt "nothing but Love and support" from the community since the news got out. She is on leave until a decision is made about her employment.